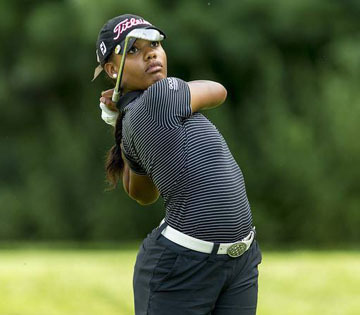 Kyra Cox won the New York State Women’s Amateur title at the age of 15. She is the top ranked junior in the state. The Lady Paladins added two signees who should help keep the Furman program moving forward. Wofford has signed three players to get the Terriers back in the SoCon title hunt. Furman is currently ranked seventh in the national polls at the end of the fall season. The defending SoCon champions will lose several players to graduation after the season. Furman golf coach Jeff Hull has recruited a golfer who is top ranked in her state and another who is among the best in her country. Kyra Cox is the top ranked women’s player in New York. She has an AJGA win and four top-10 finishes. She has won more than a handful of championships in her home state including the New York women’s championship when she was 15. Sarah Eve Rehaume from Canada won a junior tournament at Furman. She qualified for the Drive, Chip, and Putt national competition at Augusta National, where she finished third. Cox was honored as the Metropolitan (NY) Junior Golf Association Player of the Year as a freshman. Furman will also have one of the top players in Canada on campus next year. Sarah-Eve Rhéaume from Lac-Delege, Canada was named to the CCAA All-Canadian team. Rhéaume already has a win on the Furman golf course. Last year she won the HJGT College Prep series event at Furman. She also claimed a second place finish at the IMG Junior Honda. Angie Ridgeway needed to add some golfers to a team thin in numbers. The new players at Wofford bring some outstanding credentials to the program. Hallie Kent is from Mequon, Wisconsin. She has been the top-ranked Wisconsin junior golfer in her age group since she started playing the game at age 8. Rebecca Earl is ranked 70th on the GB&I Women’s Order of Merit in England. She also may not answer you if you call her Hallie. Her nickname is “Speedy” and it is appropriate with the way she plays the game. “We actually got together on the recommendation of another recruit from the Midwest. She had a great time at Wofford and told Hallie about us. She visited us and committed. 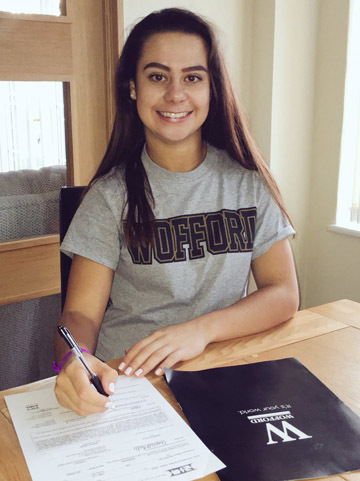 We are glad to have her and our other two newcomers,” said Angie Ridgeway, Wofford’s coach. The Terriers will add a new golfer from England in this year’s recruiting class. Rebecca Earl is ranked 70th on the GB&I Order of Merit. The third recruit joining next year’s team is Ali West from Calabasas, California. 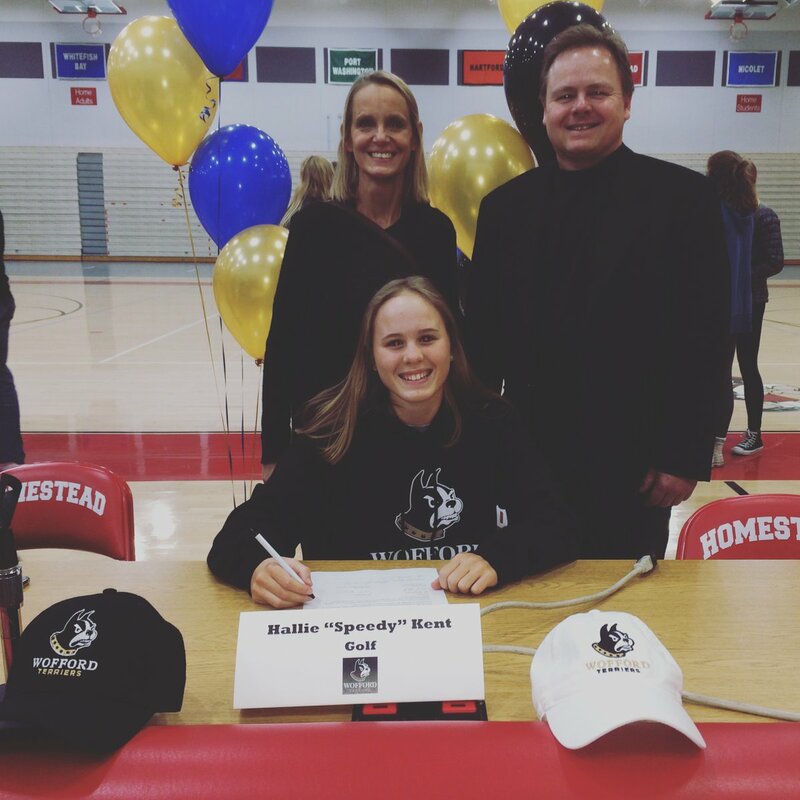 Allie West comes to Wofford from Ventura County, California and has been winning tournaments each of the last four years. 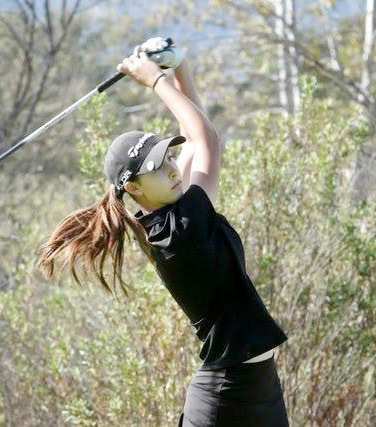 West has won tournaments in the Ventura County Golf Association each of the last three years. Ventura County in California has the same population size as the entire Upstate of South Carolina. West has been ranked as high as second in the annual rankings for the local golf organization.